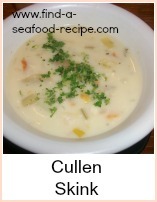 This is the best lobster bisque recipe I have ever found. It isn't the easiest, but there again, it isn't the most complex either. It seems a bit extravagant using a whole lobster to make this soup, but it is very strong tasting and will go a long way. There is a lot of flavour in the shell and that's why you need to use it in the stock. 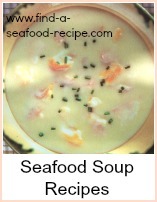 In fact, in my 50 Fish and Seafood Soup Recipes (link at the bottom of the page for a free download) there is a recipe for Frugal Lobster Bisque which just uses the shell after you've eaten the lobster! 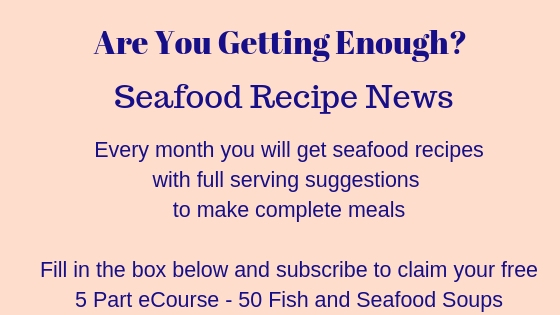 You will need a quantity of fish stock - this link opens a new window. 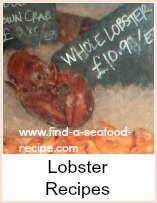 Take the meat from the lobster and put the shell in a clean tea towel. Pound it with a mallet or rolling pin to break it up. Take a large pan, heat the oil and add the vegetables - sweat for a few minutes until softened then pile the lobster shell on top. Put the brandy into a metal ladle, warm it and light it - pour it into the pan. Then add 1.5 pints of the fish stock and all the wine - simmer for 20 minutes. Boil the rice in the rest of the stock until it's creamy. Strain the first fish stock liquid into another saucepan, pushing it through the sieve to get every last bit out. Reheat this and add the chopped lobster meat. You could reserve a few pieces to float on the top of the bisque if you like. Put the fish stock/rice mixture and tin of tomatoes into a blender - process until smooth. Add this to the soup, stir and heat through - check the seasoning and adjust to taste. Pour into warm bowls and add a dollop of creme fraiche or double cream. Serve this lobster bisque with crusty bread and bowls of creme fraiche for your guests to spoon on. 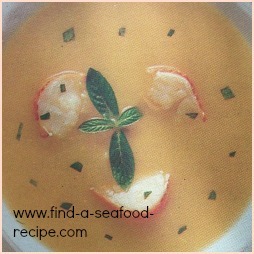 My best lobster bisque recipe. Use the lobster shell to make the stock and you'll have the most perfect lobster bisque.